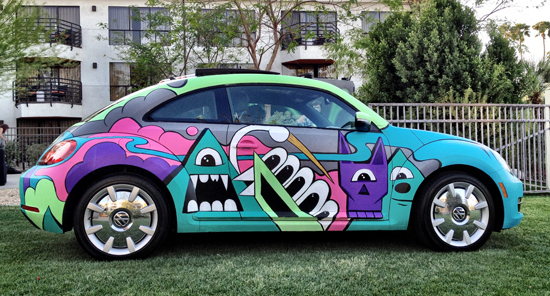 I recently flew out to Palm Springs to collaborate with Volkswagen on a piece for a recent event during Coachella. Rolling Stone Magazine, Milk Studios, FAMNYC, Electiric Room, C2 and Volkswagen joined forces and put on an serious event at the Rivera Hotel. The event, which took place over a 3 day period featured a nice line up of djs and muscians, games, live art, poolside action and more. 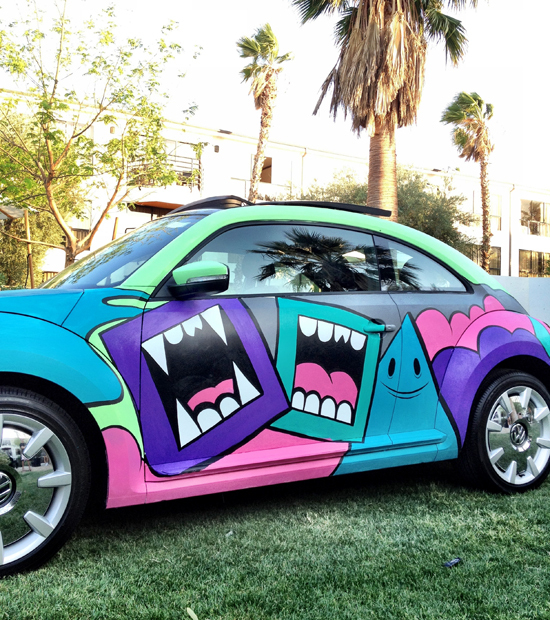 The 2012 Volkswagen Beetle, showed up as a blank white canvas and was painted in 13 hours. This was the first full car I have painted and it was great working with this 3 Dimensional canvas.